"Meanwhile, our entrée discussion at Nancy’s proves extended but fruitful. And how could it be otherwise, given a kitchen only capable of the delectable? Not surprisingly, most mains feature unusual pairings and complicated preparation, even as the pleasures induced are simple in the extreme. Vaughan’s sourdough tagliatelle is the pasta dish of your dreams..."
How do you pick out the industry folks at Nancy's Hustle, a buzzy new neighborhood bistro in East Downtown? It will be late (the kitchen is open until midnight), and they’ll be geeking out over the natural wines. 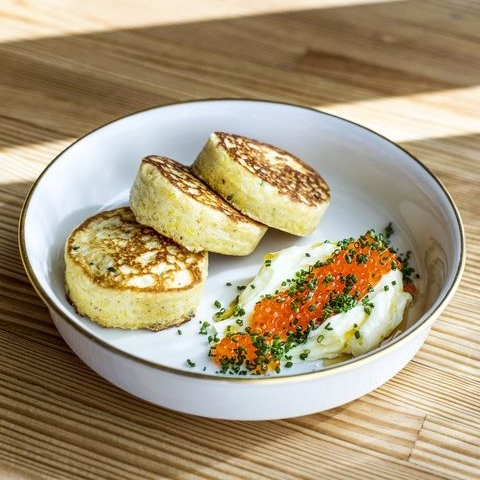 They’ll also be snacking on tender lamb dumplings and Nancy cakes—a kind of johnnycake topped with trout roe. You should join them." "Nancy’s Hustle is just that for me, a beacon of quality on my rapidly evolving east end of town. Chef Jason Vaughan, beverage whiz Sean Jensen and their intelligent staff could make regulars out of a hardened cynic. The well-edited menu may list only 20 items, but I’ve already found enough favorites to bring me back again and again." "This EaDo newcomer is earning rave reviews from Houston diners thanks to its menu of exciting, broadly influenced fare. 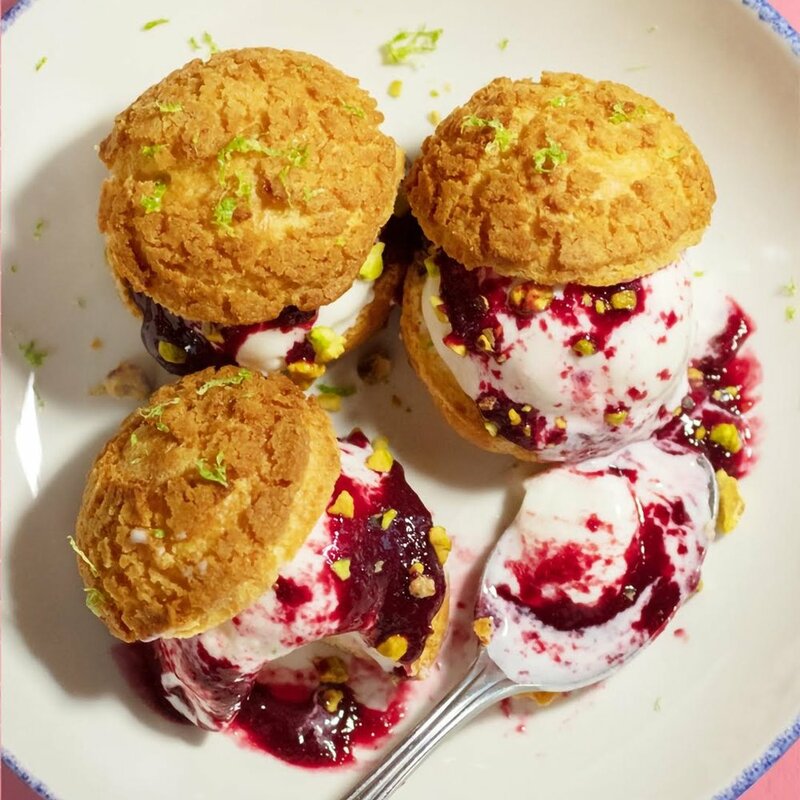 Find dishes like Turkish dumplings served with labneh and lamb jus, tagliatelle made with sourdough and tossed with burrata, honey, and brussels sprouts, and Parmesan cheesecake." "(Kristine) Nguyen’s creative cocktails deserve some of the credit for Nancy’s Hustle’s status as one of the city’s hottest restaurants. The Bad News Bar vet has crafted a tidy, five-drink menu that offers subtle twists on favorite cocktails that are designed to match the chef Jason Vaughan’s eclectic menu, but don’t feel limited by what’s on the menu. When asked by friends to create off-menu classics like a Sidecar or an Amaretto Sour, Nguyen has risen to the challenge and earned raves." "After tasting Doran’s homemade pasta used for the Turkish dumplings in our smaller shared plates, we also ordered the Sourdough Tagliatelli. It’s a don’t-miss item on the menu—a richly flavorful pasta dish that manages to somehow be both substantial and ethereal and adorned with burrata, honey, pistachios and crispy brussel sprouts. The brussel sprouts are also served solo as a side dish."